UPDATE: The online store is no longer available. Sorry for the inconvenience. 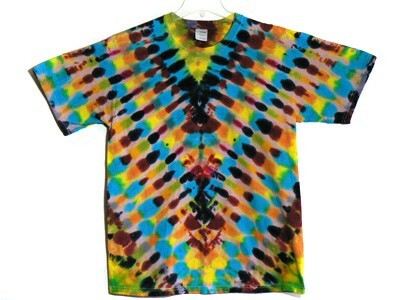 The Tie Dye Connection has just uploaded another large batch of brand new tie dye shirts. These were only just finished in the past few days. They also posted their list of incense scents (17 different kinds so far) which sell for $1.50 per dozen. Some of you have probably noticed the new design here at Tales at Twilight. I started fiddling with the old look and settled on this new, brighter, template. But don’t worry. Though the look is different, my charming wit and humor hasn’t changed. Look for a special review of Michael Calvillo’s new novel I Will Rise to appear here within the next day or two. It was a great read that you’ll want to know more about.